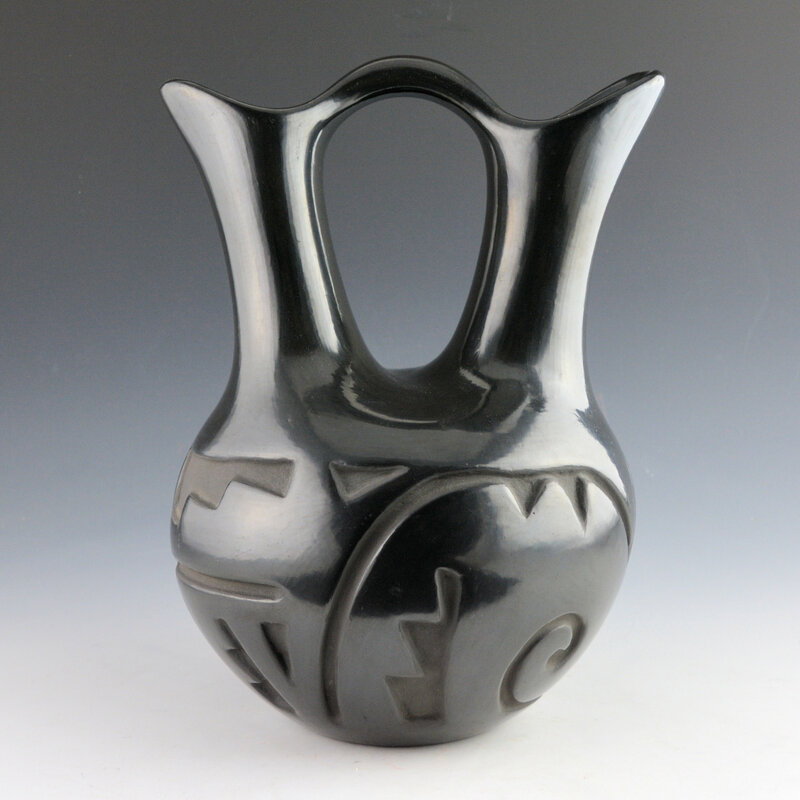 Helen Shupla is famous for her carved pottery as well as her exceptional melon jars. 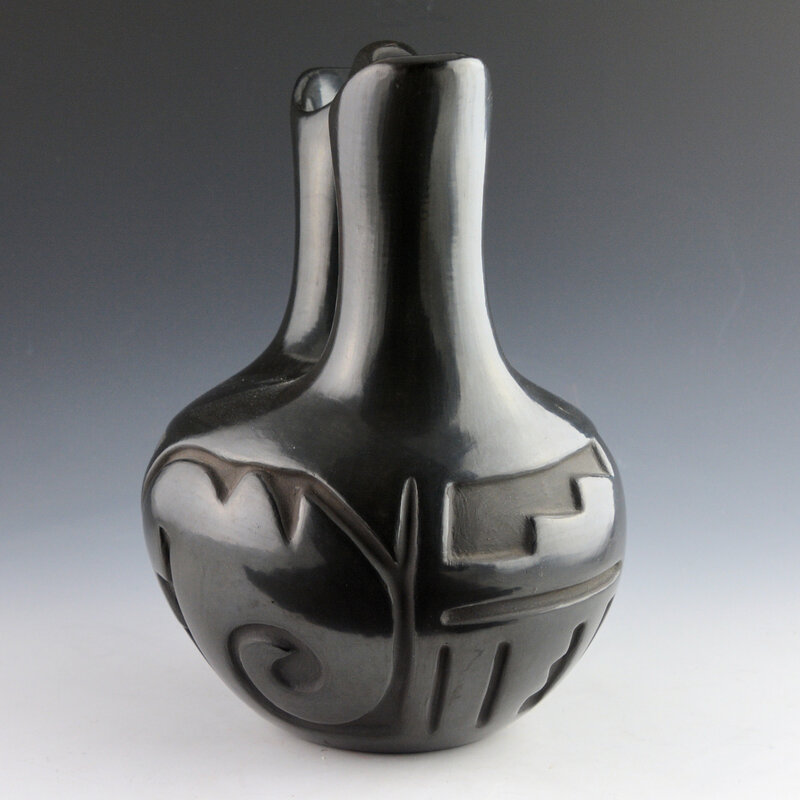 This large wedding vase is coil built and it is carved around the body of the piece. 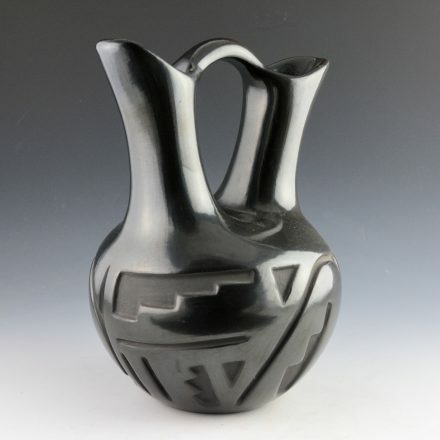 The style of carving is interesting as most of the work is carved into the negative space as opposed to caring it in a line around the vase. There is a mesa design along with a cloud, mountain, and bird pattern. The wedding vase is signed, “Helen Shupla” on the bottom in the clay. It is in very good condition with no chips, cracks, restoration or repair.